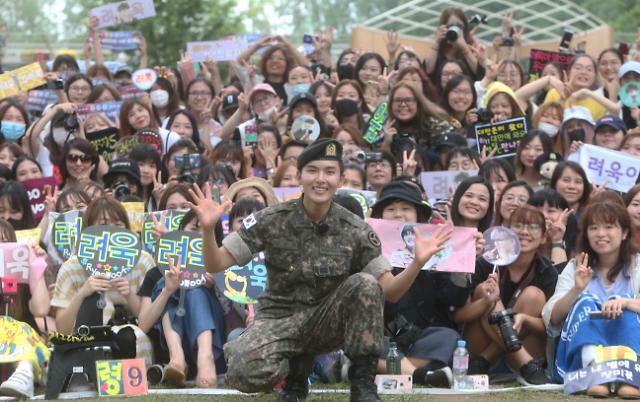 SEOUL -- About 400 foreign and Korean fans formed a human wall for hours Tuesday outside an army base, waiting for Ryeowook, when the 31-year-old Super Junior member was discharged after a mandatory two-year military service. They waved placards reading "We will protect you from now on!" and "Welcome home Ryeowook!" when the singer walked out of the base in Jeungpyong, about 103 kilometers (64 miles) south of Seoul. Loud applause came from the crowd and Ryeowook replied with a salute. "It's been a long time," he said, with his eyes welled. 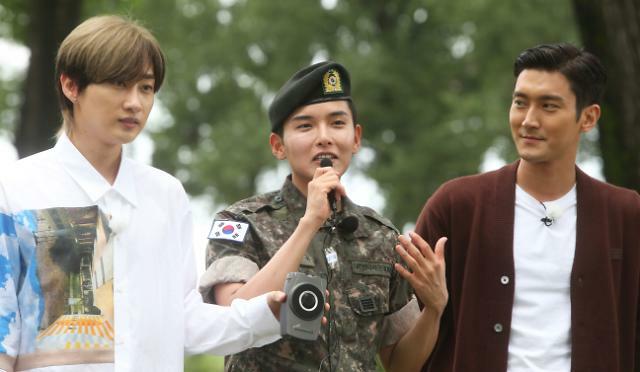 Other Super Juniors -- Leeteuk, Eunhyuk, Siwon and Donghae -- were there to greet the discharged soldier, playfully performing their signature greeting by saying "We are Super Junior!" 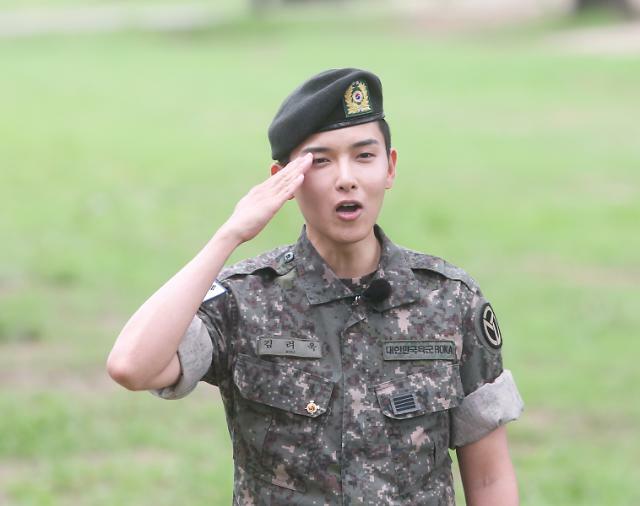 Ryeowook expressed thanks, confessing that he had been worried that fans may have forgotten him. 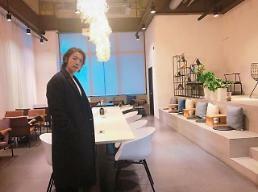 He urged fans to wait for his official activities as he is preparing something special. With Ryeowook ending his military service, the eight-member K-pop band which debuted in 2005 now only has Kyuhyun away serving his service as a public service worker. The 30-year-old will be discharged in 2019.